WHEN the tobacco marketing season opened in March, farmers were assured that everything was in order. There were even rehearsals around the electronic marketing system to ensure everything went like clockwork. No sooner had the tobacco farmers started delivering their golden leaf than we witnessed unprecedented chaos at the floors. Not only was the e-marketing system malfunctioning; there was a shortage of cash for which the farmers had not been prepared. At one point the anti-riot police had to be called in to deal with restive farmers who had delivered their tobacco, but had not been paid. Meanwhile, they were being pestered by transporters. Come the current grain marketing season. Using that little experience from tobacco and with early reports projecting a bumper harvest from Command Agriculture, we warned the authorities against a repeat of the fiasco encountered by tobacco farmers. 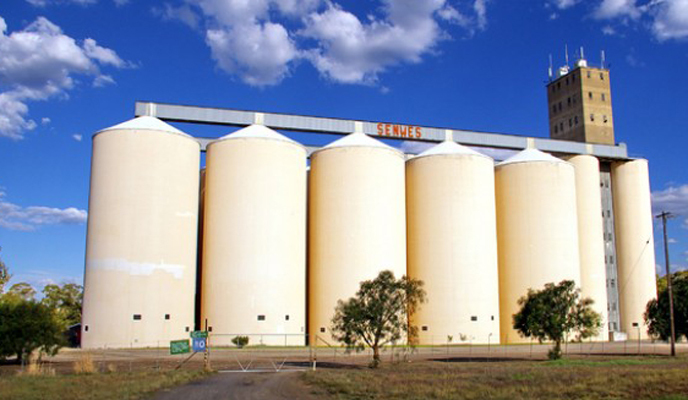 In particular, we said the Grain Marketing Board should ensure its silos were ready to store the unseasonably huge output. We warned that there should be ready cash or whatever mechanism was viable to ensure farmers got their dues, on time too. Predictably, we said if the GMB was found ill-prepared for the mammoth task, farmers would suffer the biggest prejudice. We seem to have been spot on, and the GMB has either been caught flat-footed or is an active accomplice in the chaos and fraud at its depots. As we reported yesterday, farmers are having their maize turned away at GMB depots countrywide on claims that the moisture content is too high, that is, above the optimal 12,5 percent. The farmers would have incurred transport costs of between $30 and $1 000 per trip to take the maize to the depot. They are told to take it back. For a start, some of this maize was produced under Government’s own Command Agriculture. The GMB has promised producers the best price at $390 per tonne. The regional median is half that. The farmer’s dilemma is to either take the maize back home for double the cost of transport or to hawk it to the closest bidder. (In an event, the farmer already doesn’t have enough storage space to take the grain back.) But the transporter is only happy to oblige and leave the farmer neck-deep in debt before he has bought the basics for his family. This should not be the case, GMB is being cruel to the farmer. But that’s only the tip of the scandal, which appears designed not only to discredit and destroy the spirit behind the entire land reform programme and its black economic empowerment derivative, but also to undermine the Command Agriculture initiative. Reports indicate that at times the moisture content issue is manipulated by GMB officials, conniving with transporters and private buyers. Out of desperation, the farmers are forced to sell their produce to middlemen directly connected to GMB officials, and always have ready cash. The maize is bought for as little as $150 per tonne, sometimes not even enough to pay the transporter. The middlemen merely turns the vehicle around and delivers the same maize back to the GMB for a cool $390. There can be no better way to break the spirit of the farmer, who now has lost his maize, but stills owes the transporter, and the Government for inputs such as seed, fertiliser and tillage. We don’t expect the same farmer to happily return to the farm to produce either tobacco or maize next season. The GMB appears to be the biggest culprit here and white former farmers must be celebrating when they see and hear what’s happening. Most of our farmers lack resources and skills. Moreover, the rainy season was unusually long. But because of winter wheat, most are obliged to harvest their maize early. If moisture content is a genuine matter, the GMB should have dryers to help farmers rather than punish them for not having the technology to measure it. The GMB should be helping farmers to get their maize off the field for better storage rather to force them to waste it moving it back and forth. Most importantly, a thorough investigation is needed on possible collusion or involvement of GMB officials in private maize buying syndicates. The GMB always seems to have ready cash to pay middlemen, but doesn’t have money to pay genuine farmers. Middlemen who don’t own a farm always seem to get the moisture content right, while real farmers have their produce rejected. Something is rotten in the chain and the investigation must start at GMB.